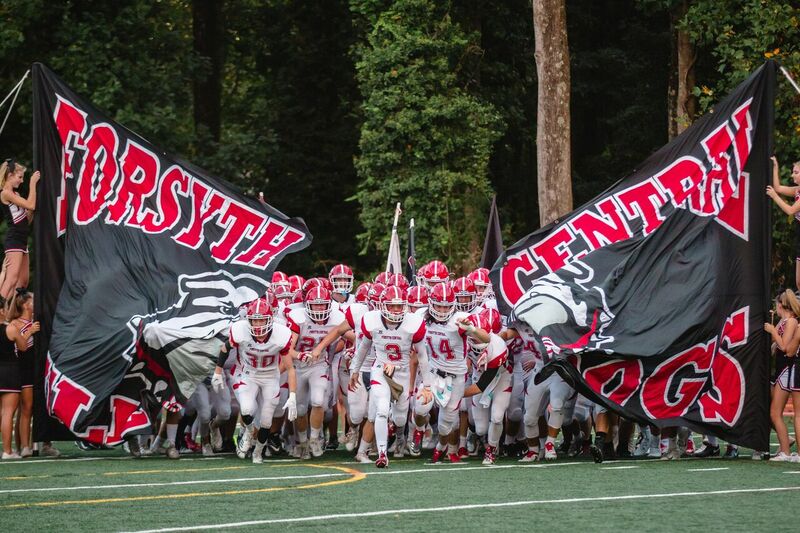 While being back in the routine of chiming bells and having hours of homework may sound like the the worst way to spend the fall season to some students, for the student athletes of Forsyth Central high school it’s a time to show what they’ve got. Varsity Football lined up during National Anthem. The south has been quite notable for its love of football. 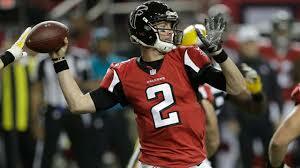 Due to its popularity, I decided to get an inside to what Forsyth Central’s football has to offer this season. So far, everything seems to be going well, with a win against Meadow Creek in the pre-season scrimmage and three more during the official season against Chamblee High (42-7), Cass (24-12), Lakeside-Dekalb (48-0). 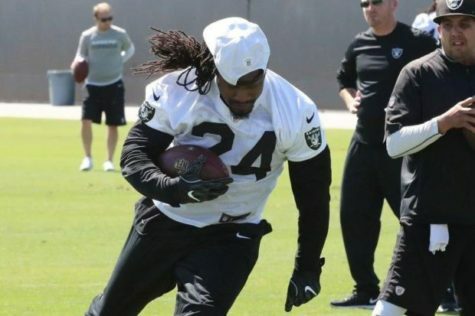 The boys have really kicked it into gear this year, greatly improving their record from last year. Senior player, Tristen Rose, shared that the plan for this year is to “fight and win every game and to not let the losses affect them.” Rose, who has been playing football most of his life, loves how much Central’s team has grown this year and is excited for what’s to come. Another 1st place win for Comp Cheer. What is a football season without the cheerleaders on the sideline keeping the energy alive for the boys on the field? Senior captain, Kenna Bange says there have been a lot of new changes made and is excited to see what results from them. 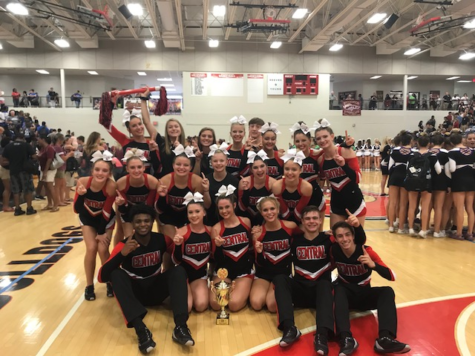 Competition cheer is in full swing as well, starting off their season right with a 1st place win in their meet at North Gwinnett. New comer to cheer, Namiah Howard, says he wants to make sure he hits all of his stunts and to help his team win state. Last year, the FCHS comp cheer team was 1 pointaway from winning state so this year is their chance to make a comeback. Another fall sport that is off to a great start this fall season is Forsyth Central’s Softball team. 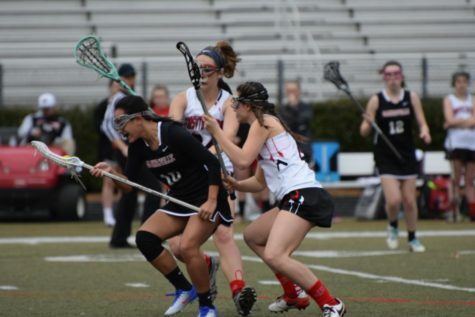 The Lady Dawgs kicked off their season with 2 ball game wins at the Peachtree Ridge Rumble at the Ridge Invitational. Leading the way, new head coach, Paul Cromie, wants his team to focus on the intensity the game brings while still “maintaining an optimal mindset”. 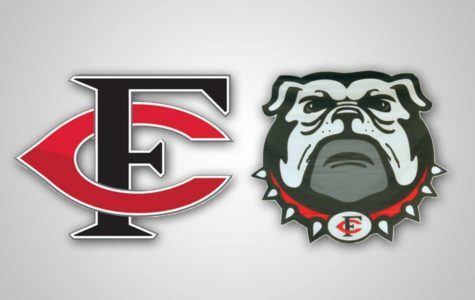 He enthusiastically expressed the excitement that he holds for Forsyth Central’s Lady Dawgs from their commitment in the weightroom throughout the summer, or to what the seven seniors on varsity have to offer this year, or even to the new upgrades and additions to the field and facility. Senior catcher, Grace Kiser, says her biggest goal this season is to help lead her team to state playoffs in Columbus. 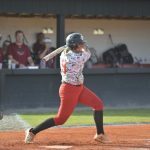 With experience being a part of the all region and all county teams, as well as being a softball commit to Columbus State University, Kiser believes that this is the year her team will gain the title as Region Champs. It won’t be easy though. If they keep their goals straight and work hard, the Lady Dawgs will definitely make this season great. Continuing with Central’s streak of fall season wins, Volleyball is fighting to up their good work. 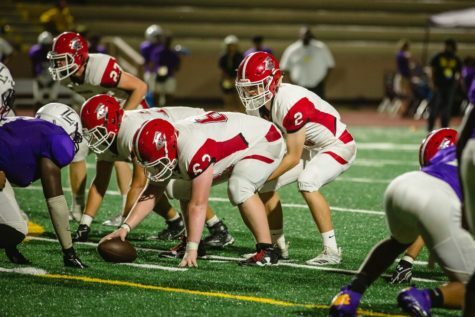 From their intensity in the weightroom throughout the summer followed by hours of team practices to the team camps they participated in, they sure have set themselves up for great season this year. Already proving their exceptionality by breaking their record of wins from last season. 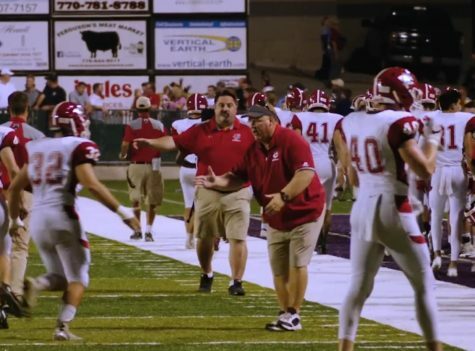 Head coach, Brian Welsch believes that his athletes “can play point for point with some of their toughest competition” this season. 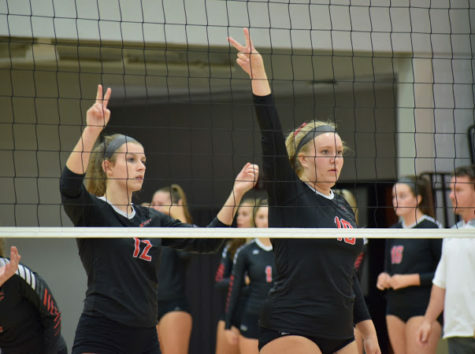 This possibility comes from his girls “bringing their extra 1% in everything they do,” something he described as a part of the culture that Forsyth Central’s volleyball program has built for themselves. 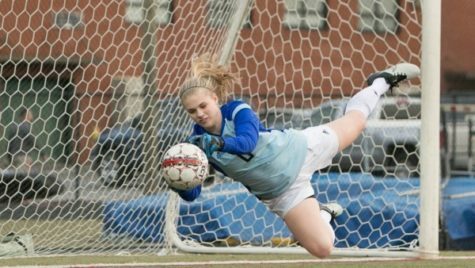 Having every player in the program “feel like an integral piece to the puzzle” is something Coach Welsch noted as being very true and rich of importance, especially for those girls who may still be struggling to find their place. Megan McCarthy getting her head in the game. 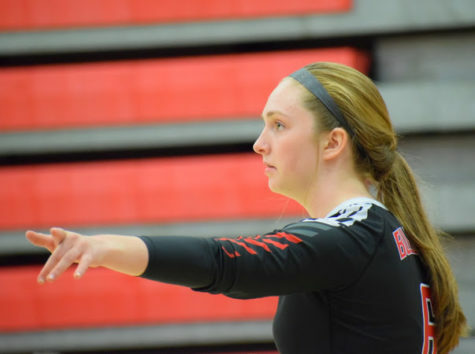 In the beginning of her high school athletic career, Megan McCarthy a freshman varsity outside hitter, stated she is “excited to watch her team grow throughout the season”. Even though the volleyball team currently has 15 people on it, Megan doesn’t feel too bad about it because it has been her opportunity to get closer to the other 14 people on the team. As for ReesAnne Gentry, senior varsity rightside hitter, she shared her positive outlook on the upcoming season, saying that she sees her team “winning a whole lot more games and even have the opportunity to take down some rival region teams”. Calan Gizelbach headed towards the finish line. Running up in the rear, Forsyth Central’s Cross Country team is ready to take on their competition this season. It’s quite impressive what each Central’s runners have done, giving the fact that cross country isn’t a team sport but rather an individual sport based on collective times of each runner. 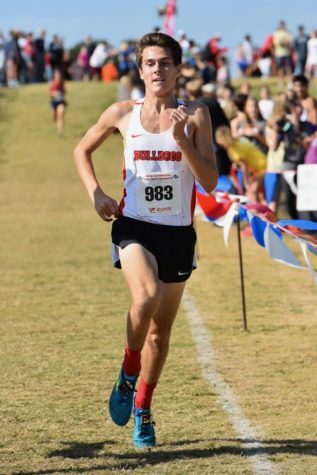 Senior, Calan Gizelbach, who finished top 10 at last year’s Class 7A cross country championships says he can’t wait to take on his rivals this year, especially with a good chance of winning state this year with the loss of some major senior competitors. With the beginning of fall among us, fall sports are really taking precedence among Forsyth Central high school. 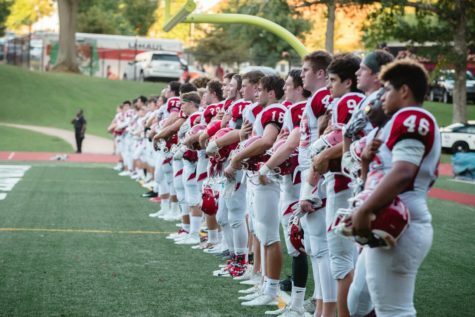 It’s a time for these students athletes to show what they’ve been working towards and for the school to come together in order to show our support. 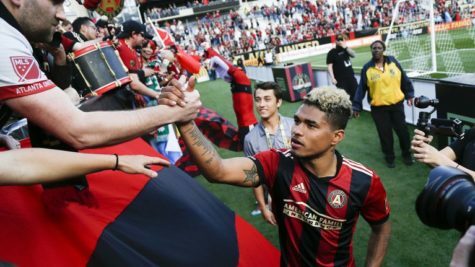 It’s important to at least make an effort to go to a game, match, or meet in order to show your support for Forsyth Central Bulldog athletes. 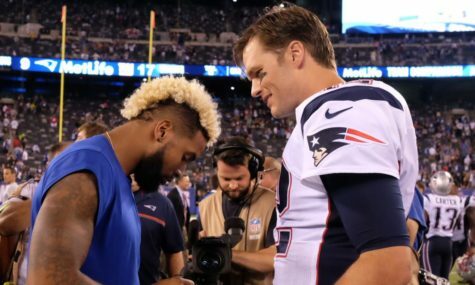 Are Odell Beckham Jr. and Tom Brady Comparable?